As we work diligently towards creating our own kitchen, we are already developing some new products. 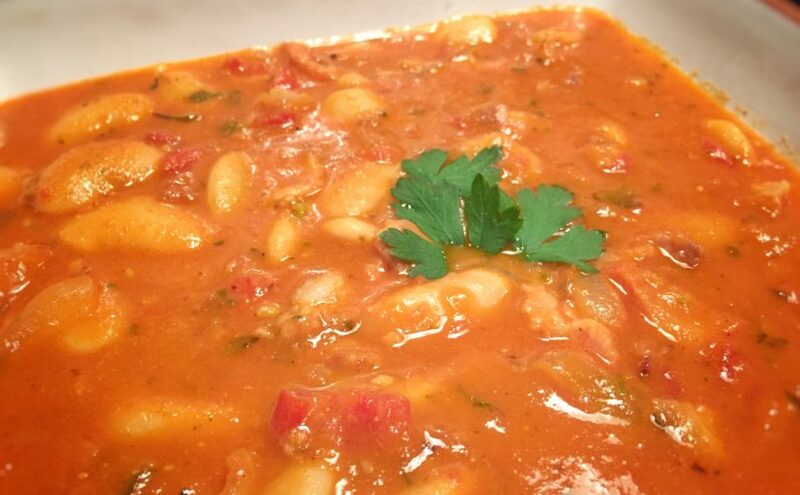 Butter bean and bacon soup is one of them. With the onset of the holiday season, autumnal colors and a chill in the air (especially here in Florida), we can’t wait to get the ‘big girl’ pots out and create a hearty soup. 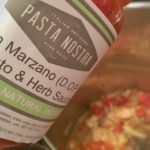 Butter bean and bacon soup recipe is an opportunity to use Pasta Nostra USA ingredients as well as those are grown in Italy or at The Farm in Rockledge Gardens. The amounts listed in the recipe are variable and you can also choose to omit the bacon for a vegetarian version. We have also made this adding leaves of spinach at the end – wonderful! 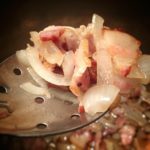 In a medium sized saucepan over a low to medium heat, warm the olive oil and cook the bacon for 5 minutes or until lightly crisp and golden. You will need to stir it from time to time to avoid it burning. Stir in the onion, celery and garlic then cook until the onion is translucent and not browning – about 5 minutes. 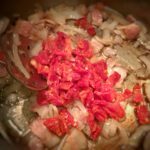 Add the sun dried tomatoes, tomato sauce and chopped olives then bring everything to a boil. 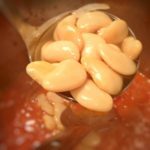 Add the butter beans with juices if you are using the canned variety. Add the vegetable stock, butter and sage. Bring everything to a boil then reduce to a simmer and partially cover with a lid. 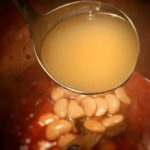 At this point check the seasoning adding more salt and pepper if necessary then continue to simmer the soup for the next 20 – 30 minutes or until the beans are really tender. 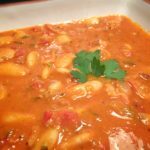 When the soup is cooked, add the cream, stir in and you are ready to serve your butter bean and bacon soup. 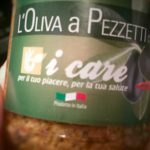 *You can currently find our iCare olive tapenade at Petty’s Meat Market in Suntree and on Babcock Street, The Ancient Olive stores and Rockledge Gardens. We will have it available to you online very soon.